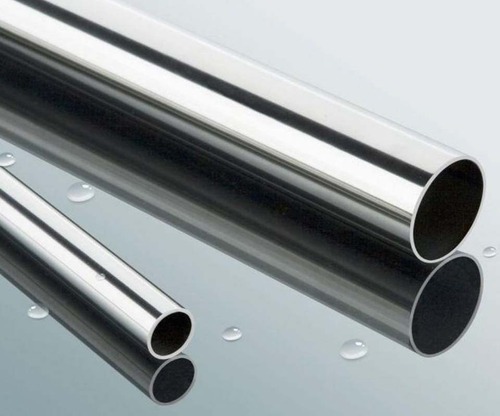 Owing to our rich industry experience, we are providing a wide range of Stainless Steel Pipe that product is excellently designed by our vendors. Our skilled vendors make use of high grade raw and modern technology in order to perfectly manufacture this product. Furthermore, a stringent check is precisely conducted on our whole gamut in order to avoid any flaw and make sure its quality. Incepted in the year 1972 we, “Essar Enterprises”, are counted amongst the most reliable Exporter, Trader and Supplier of Stainless Steel Products, Mild Steel Products, Teflon Products, Nylon Products, Brass Products, Rubber Products, Copper Products, Cast Iron Products, Gun Metal Products, Aluminum Products, Fencing Products, Bronze Products, Bakelite Products, Carbon Steel Products, Polypropylene Products, Pedestal Bearings, etc. All these products are obtained from the reliable & certified vendors of the market. Our trusted vendors make sure that all products are precisely developed utilizing high-grade factor inputs and modern technology under the strict compliance of the set international quality parameters. The entire array is highly admired by our cherished clients for their sturdy construction, durability, resistance to corrosion and seamless finish. In order to meet the diverse demands of the clients, we provide our products in assorted specifications. Further, customization of products is also available according to the clients’ demand to offer them maximum gratification. Easy payment modes & affordable rate is offered to our valued patrons.